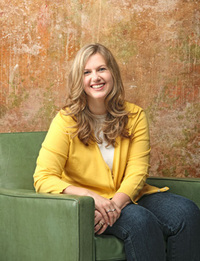 In my opinion, Amy outdid herself in "The Courtship Basket" and took her writing to a whole new level. With Mike and Rachel, the reader feels this torn emotion between the two characters. It's the roller-coaster balance of emotions that keeps the reader salivating and wondering what will happen next. Is it friendship? Is it romance? What is it or is it nothing at all? And of course, this story has something that makes it rather unique when the author writes about a character named Raymond, who has a particular disease that is near and dear to her families heart. It gives this book all the more emotion, and allows the reader to connect with the characters and story line in a personal way. 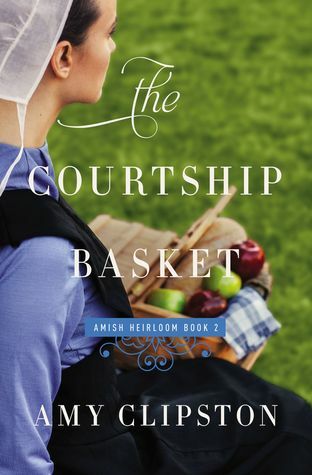 I loved that Amy included parts of her own journey within a story and if you don't know what I'm talking about, then, you will definitely need to pick up The Courtship Basket, which is the second book in the Amish Heirloom series, as well as The Gift of Love. I recommend reading The first book in this series, but it is not necessary to understand "The Courtship Basket." Overall, you will not be able to put this book down as the pages turn and in the end, you will be sad to see the characters go, but you'll be thankful to know, there are always opportunities for second chances. I enjoyed the ebb and flow of emotions, and I believe that this is Amy's best book yet. I received an ARC copy of this book from the author in exchange for my honest review, which I have given. I give this book 5/5 stars and recommend that you put this book on your summer reading list. You can pre-order a copy today here. The Courtship Basket releases June 28, 2016.